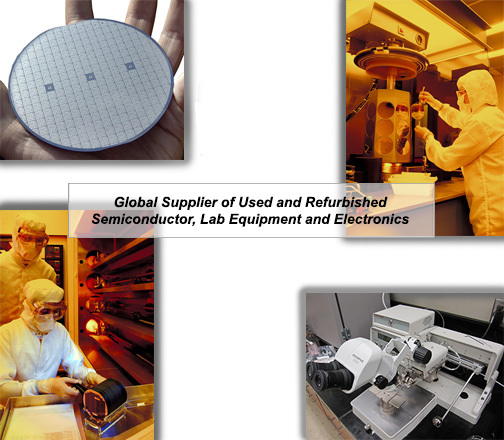 For over three decades, Bid Service has been one of the leading suppliers of used semiconductor equipment and lab equipment to international scientific communities. We supply everything from fully refurbished electronic manufacturing equipment to scientific, analytical and testing instrumentation equipment, used and refurbished. At our climate-controlled facilities in New Jersey, we have over 100,000 square feet of storage space, holding all the equipment you could possibly need. And we don’t just store it, we own it. We only buy equipment we know is of high quality and we repair, restore and refurbish it to our own high level standards. 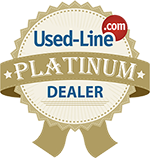 Whatever your needs, Bid Service has a huge selection of used semiconductor equipment for sale and we can provide you with individual pieces or entire production lines, all at competitive pricing. We ship our refurbished equipment worldwide, wherever it’s needed, through our relationships with trusted freight companies and transporters. Whether you’re replacing your equipment, shutting down shop, relocating your company or simply lightening the load, we pay top dollar for your used semiconductor manufacturing equipment, refurbish it, and resell it. From individual pieces to production lines, even entire facilities, we can take your used semiconductor manufacturing equipment off your hands. Our specialty is refurbishing equipment, which is why trading your old equipment for like-new refurbished semiconductor equipment makes sense. We can offer you competitive pricing and excellent deals on trades of your repairable and refurbishable equipment for equipment we have available for sale. Let’s face it - brand-new equipment is costly and often the waiting lists can be extensive, especially for unique, specialized equipment. We ensure every piece of equipment that leaves our warehouse meets the manufacturer’s original specifications and that all features are fully functional. Under certain circumstances, we can even refinish the equipment so that it looks as brand-new as the day it came off the factory floor. We stand by our equipment, which is why we offer a three-month warranty from date of delivery, as well as a 30-day right of return. We want you to be completely satisfied with the equipment you purchase from Bid Service. By offering you the opportunity to get top-quality, refurbished and often unique equipment at a fraction of the price, we help your company stay in production, or even grow.